After more than 30 years of reformations in agriculture, manufacturing and trade and industry, China’s economy has grown to become the second largest in the world. This book examines the contributions of dynamic entrepreneurs to the economic development of mainland China and Hong Kong – an analysis that is largely lacking in existing studies China’s economic stronghold. 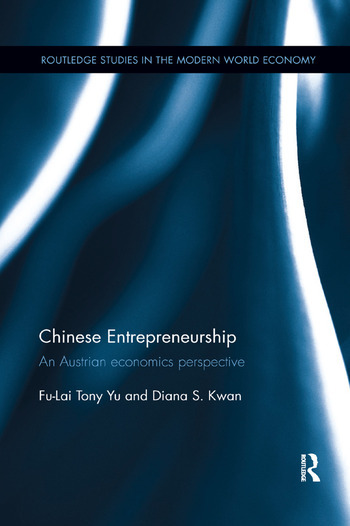 This book adopts theories of entrepreneurship and market processes as major analytical frameworks to conclude that entrepreneurship is the true engine of growth in mainland China and Hong Kong. Chinese Entrepreneurship focuses on the knowledge drivers and systemic challenges of these businesses to examine how entrepreneurs under uncertainty identify and pursue profit opportunities, and how their efforts have enhanced China’s economic dynamics. This book offers vital insight to students, teachers and researchers of Chinese business and economics, along with Chinese culture and expanding economies. Fu-Lai Tony Yu is Professor at the Department of Economics and Finance, Hong Kong Shue Yan University, Hong Kong. Diana S. Kwan is Project Coordinator at the Office of Educational Services, Chinese University of Hong Kong, Hong Kong.